We do what we do because we get excited by seeing people progress and businesses become more profitable. We want to hear more people report a positive change like this recent participant, "These workshops have already made a profound difference to me and changed how I approach my role." How do we do it? After you've met the team, read about our approach here. Simon is a creative and strategic thinker with an extensive track record in leadership and management. His unusual broad and flexible range of skills developed over 20 years of growing/developing successful businesses has led to his proven track record of training and negotiating across cultural, geographic and organisational boundaries and getting people to ‘buy into’ a joint solution. His focus is on business results with clients achieving measurable long term behavioural change. Jacky has over 20 years experience of leading and facilitating organisational and transformational culture change. She supports leaders to create environments where individuals perform highly and works with organisations to improve organisational effectiveness and human capital efficiency. Initiatives range from cultural change and business change programmes, engagement initiatives, communication strategies, top team & leadership development, capability programmes, performance management and well-being. Jacky’s corporate life included substantial experience gained across a number of sectors including complex and matrixed UK and Global Financial Markets and Global Professional Services Firms. Barry has an extensive track record of developing business solutions involving the convergence of people, processes and technology. He was also an executive with a major PLC within the pharmaceutical sector. Barry deploys a rare mix of business, technology and leadership skills combined with extensive sales, training and consultancy expertise. He has led and been accountable for numerous large scale change programmes, each of which has achieved profound change at organisational, team and individual levels. 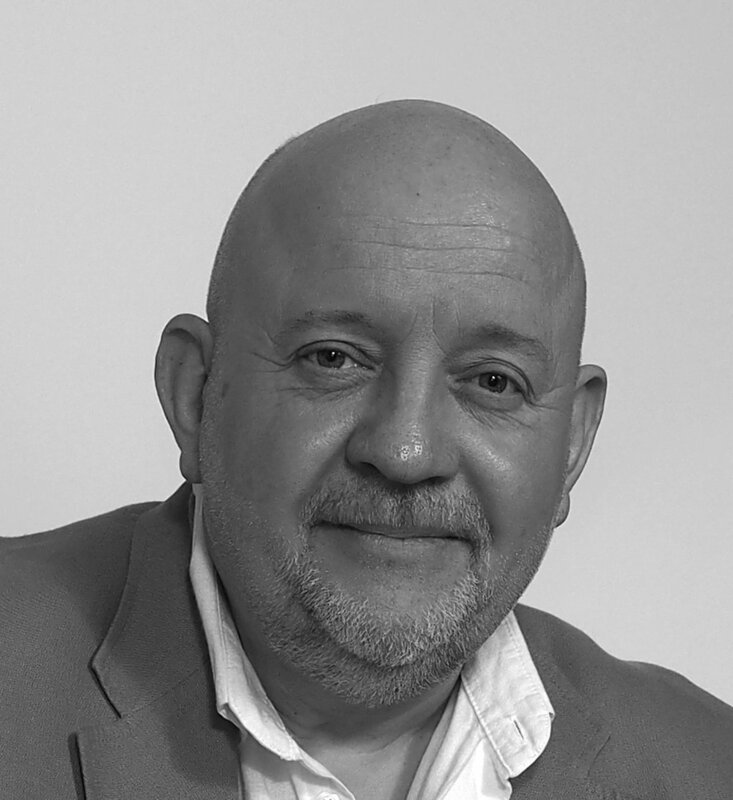 With a wealth of experience in business as Sales and Marketing Director for a market-leading software organisation, Jeremy provides one-to-one executive coaching; group training, facilitation and other tailored interventions that help people to be more successful and to enjoy the journey to that success. Jeremy is well versed in specialist areas such as neuro linguistic programming (NLP), neuro science, coaching skills and group dynamics, and is a respected “trainer of trainers” and "trainer of coaches”. And he has studied the wisdom of ancient peoples and their deep understandings of what really matters for an individual’s own growth and development - and for effective relationships with others. Adrian has a reputation for conducting learning and development programmes that engage people emotionally and intellectually. A devotee of pragmatism, his work shuns hype and jargon to focus on reality – what’s needed and what’s possible. Adrian has been offering training, consulting, profiling and coaching services to the business community for over twenty years. He has expertise in designing and presenting a wide range of management and soft skill programmes as well as specialising in the use of the Discovery® psychometric instrument. He has been an adviser to the Highways Agency Training Board (responsible for the replacement of police traffic officers on the UK motorway network), and delivered training projects to the Scottish Parliament and the Angolan State Oil Industry. Adrian is an assessor and tutor for the Institute of Leadership & Management, a polemic blogger, regular speaker for the Chartered Insurance Institute and veteran presenter of management courses on behalf of the British Institute of Facilities Management. Nicola has more than 20 years of international professional experience in sectors including: Automotive, Rental, Consulting, Earth-moving Machines, GDO and Wine and Spirits. He has also worked across many different company Functions: General Management, Sales, Marketing, Communication and Finance. He is an expert in Business Unit and company start-ups and turnaround in challenging international environments and uses his extensive language skills (Italian, English, French, Greek, and Spanish) to leverage cross-cultural differences and reconcile culture-based problems. Nicola is the President of the Aiesec Alumni France Association. Aiesec is the largest student association in the world (over 100,000 members in 133 countries and territories) a real global platform that provides young people with leadership development and cross-cultural global internship, with a focus to empower young people so they can make a positive impact on society. With 15 years HR, training and coaching expertise, she also has senior organizational experience, having led the HR team for a large direct marketing company, and been Leadership Development Manager for a major pharmaceutical corporation. She guides clients confidently through organizational change, corporate HR projects, employment legislation and tricky individual situations. This knowledge, combined with her coaching skills, truly empowers others to release their potential into action. Lucy has successfully run her independent Telesales business for over 22 years and as a result has significant experience in both face to face and telephone sales. Prior to starting the business she achieved consistent high standards leading a team of Telesales professionals selling newspaper advertising – a team who became well known for hitting weekly, monthly, quarterly and annual targets selling business-to-business advertising. David has a lifetime’s experience of living and working internationally. Born in Argentina and educated in England, he has lived and worked in North & South America, Africa, Europe and the Middle East. A graduate from Durham University, he undertook management training at Ingersoll Rand before working as a research economist at the Economist Intelligence Unit. His subsequent career involved senior positions in international healthcare projects, general trading, manufacturing and trade show & exhibitions before finally creating his own M&A company in Argentina. An unusually gifted and experienced coach, Mark’s passion and enthusiasm for developing people has also helped him build a broad training portfolio and a loyal client base. Equally at home training front-line sales teams as coaching senior executives, Mark has an empathetic but challenging approach that really motivates his clients to stretch for their goals. He has led outdoor experiential training for some years and relishes the opportunity to lead clients safely and successfully beyond their comfort zones. Mark focuses on developing the whole person in everything he does, with spectacular results. Andy trained under internationally renowned coach Myles Downey at The Industrial Society School of Coaching in the late 90′s and is a highly regarded business coach, facilitator and mentor. As an early adopter of coaching practices he has used his expertise to underpin his effectiveness in a variety of senior roles and to help others in theirs. Andy has worked and consulted at senior manager and board level in a range of industries including automotive, manufacturing, financial services, construction and IT. He is currently a commercial director in a specialised sector of the construction industry but takes time out to work with other business leaders and management teams. Jane helps organisations match the right people to the right job using ability tests and personality profiling which can greatly increase the likelihood of choosing people that will succeed in the role and suit the culture of the organisation. Additionally, Jane can help build assessment centres, which are created around the specific behavioural attributes required by the job, further raising the probability of choosing the right person. Now you have met the team behind Positive Change Partners, find about our approach, how it is different and why we get results.